Winter can bring about many plumbing problems, one of which is frozen pipes. If water suddenly stops flowing to a whole area of your home or even just a single faucet, you might be dealing with a frozen pipe. Fortunately, a frozen pipe is a problem that is easy to fix. All you need to do is heat the frozen pipe to thaw the ice, and in no time, your water will be flowing again. But while the problem of a frozen pipe is quite easy to solve, the difficulty lies in finding the frozen pipe. With so many pipes running in and around your house, pinpointing the exact problem area can be a major challenge. You may feel like you are searching for a needle in a haystack. With hundreds of feet of pipe in the house, it will take you a long time to check each pipe inch by inch. To narrow your search to a small area, turn on all the faucets in the house to find out which ones do not work. If you notice that all the faucets in a part of the house are having problems, the frozen pipe is most likely located in the split that runs to that area of your home from the main line. If none of the faucets are working on a particular floor of your home, the problem might be somewhere in the pipe that separates the ground floor from the second floor. If none of the faucets are working in your entire home, the frozen pipe is probably somewhere in the main water pipe. Keep in mind that most frozen pipes run along the exterior walls with little or no insulation. After narrowing down your search to a specific area, your next task is to find the particular section of the pipe that froze. First, examine the exposed parts of the pipe closest to the faucet. 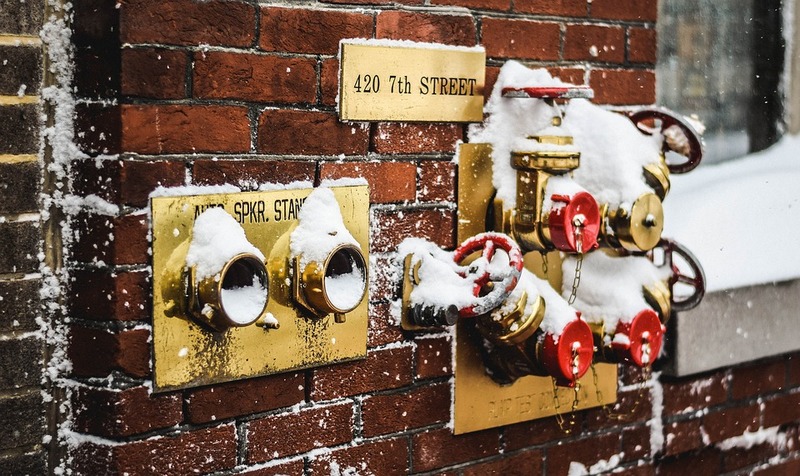 If the frozen pipe comes from a line that is linked to the main line, check the exposed pipes in the basement or under the crawlspace of your home. Look for condensation around a pipe. Sometimes you can even see frost around the pipe in an area where the water has frozen inside. If you see either of these signs, you have found the frozen fiend. After finding the frozen pipe, all you have to do is to heat it up to thaw the ice. You don’t want to apply heat too rapidly because that can cause damage to your pipe. Use a towel soaked in hot water or an electric heating pad to thaw the ice slowly. By keeping the faucet turned on, you can tell that the ice has thawed when water starts flowing again. Frozen pipes aren’t the end of the world; in fact, they are quite easy to fix. Be sure to pay attention to your faucets and fix the problem early so that no more avoidable plumbing problems arise down the line.